Happy Friday! I'm so ready for this weekend. I can't wait to sleep in, see friends, and do nothing. 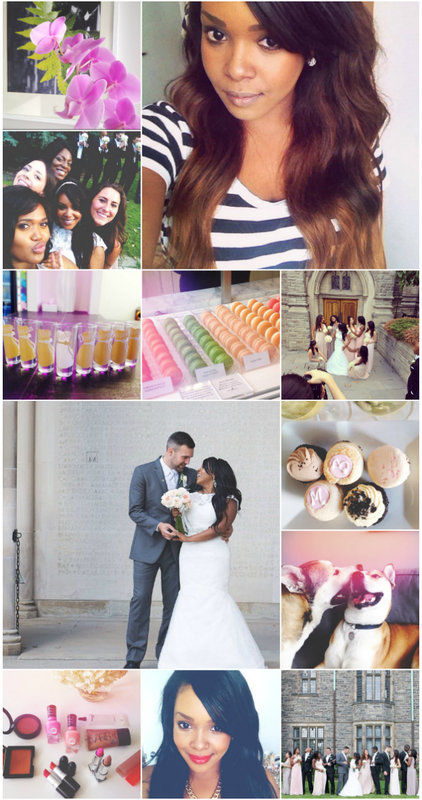 In the meantime, here's a little bit of my life according to my instagram! I haven't gotten all of our wedding photos yet, but here are a couple of teasers... along with my hair chronicles, makeup faves, sweet indulgences, bachelorette shot glasses, flowers and my dog playing with his littermate/sister. PS: Thanks for reading and following! Congrats on your special day! Beautiful pictures, your were a gorgeous bride.